Which means summer is almost here! And summer reminds me of BBQs. And BBQs remind me of hamburgers. And hamburgers remind me of ketchup. And ketchup reminds me of fries. Oh please, summer. Will you hurry up for me? Please? I have a cute new wardrobe that's waiting to be shown off. I'd really appreciate it. 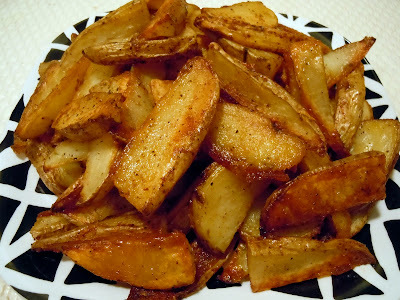 In the meantime, I can pretend it's summer by sharing my version of baked french fries that would be perfect for a BBQ side dish. These are absolutely delicious and I could probably eat the whole plate of them by myself if I didn't have things like clothes that I have to fit into. So overrated. Cut potatoes into small wedges, leaving skin on. Place in large bowl. In separate bowl, combine oil, garlic powder, paprika, pepper, salt and Parmesan cheese. Stir to combine. Pour mixture over potatoes and stir using a spoon. 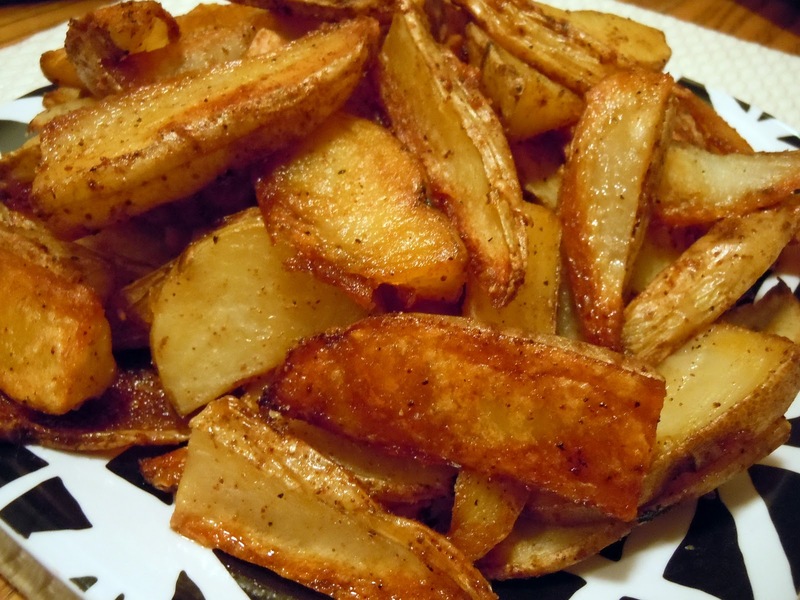 Place potatoes in a single layer on the lined baking sheet. Pour remaining juices over top of the potatoes. Cook for 45 minutes, flipping ever 15 minutes so they do not stick and get brown on both sides. Enjoy!